Great pie plate for everyone! Just made three different pies with this pie plate and they all came out beautifully. The pies pans are AWESOME! 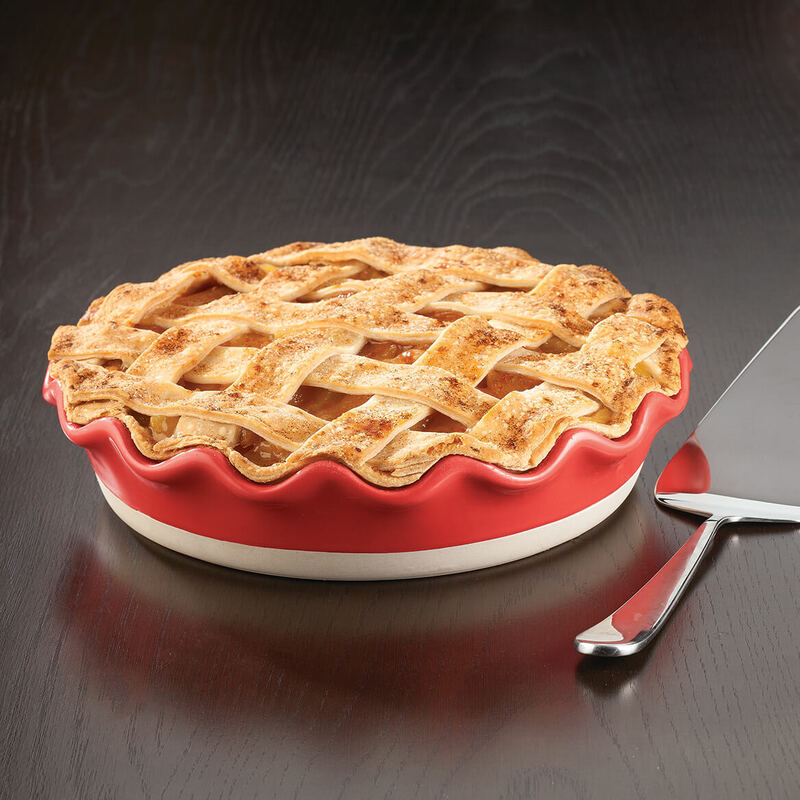 These are the prettiest pie pans! I can't wait to make my pumpkin pies in them! Great 10" deep dish at great price! Will make great Christmas gifts. I love to bake pies. And I love red! Stoneware bakes evenly. Crusts are a golden brown. 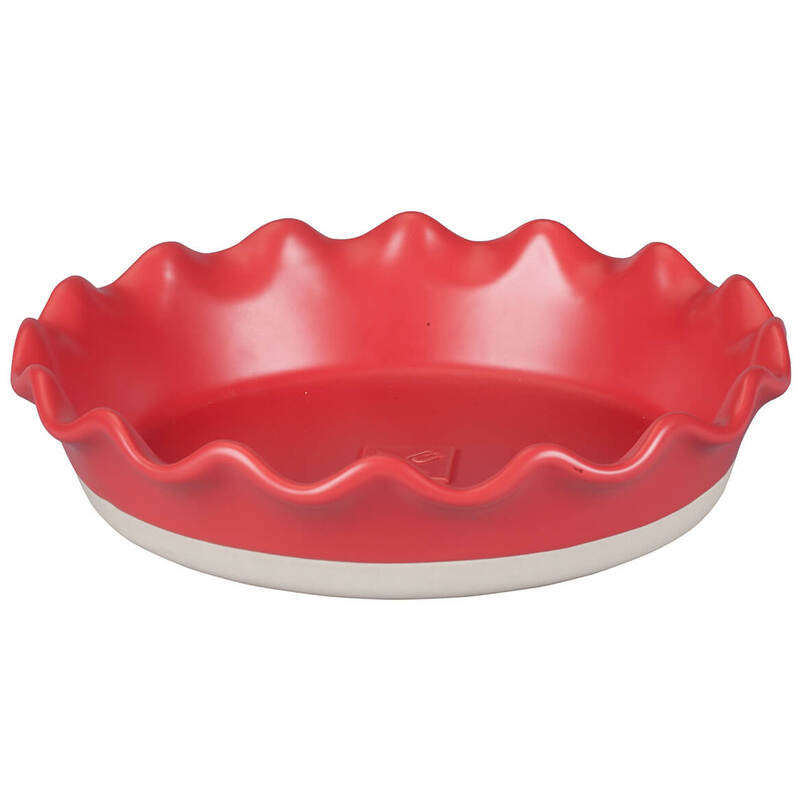 I needed a deeper pie plate and this one looks like just what I needed and such a great price! Granddaughter learning how to bake pie. Like the way it looks, great price and should help with nice looking crimped edges. Should be great for pies and quiches. I do a lot of baking and my kitchen is red. This is perfect!! It is to be the (later useful) base for a centerpiece for a friend. And I bought 1 for myself as well. I liked the fluted edge and it's useful. Have wanted one of these for ages. BEST ANSWER: Thank you for your question. We only carry the one color. We hope this information will be of help to you. Do not like red in my kitchen. Sorry. BEST ANSWER: Thank you for your question. Yes the pie plate dishwasher safe. We hope this information will be of help to you. BEST ANSWER: Thank you for your question. It is 10" dia. We hope this information will be of help to you.